The following are steps our crawl space waterproofing technicians take when installing a sump pump system in your home. 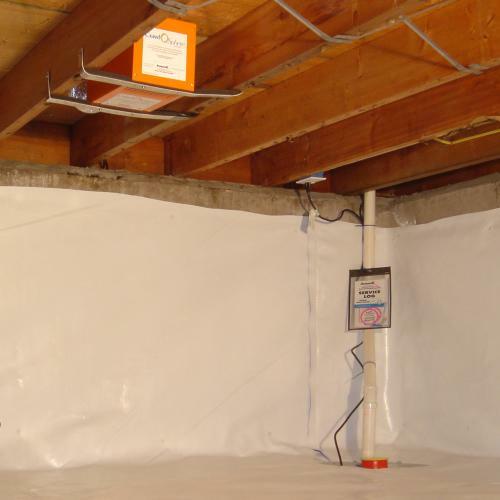 At MidSouth Crawlspace Solutions, our certified crawl space waterproofers can install a complete sump pump system in just one visit to your home! For a FREE sump pump installation estimate in Mississippi, including Jackson, Meridian, Brandon and other nearby areas, call or e-mail us today! Sump pumps are most effective at removing water from under your crawl space floor when located in the lowest spot of the floor. Your certified waterproofing specialist will determine where that spot is by using a laser level. If the sump cannot be located in the low spot, a PVC feed line should be run through the floor from the low spot to the sump pump location. 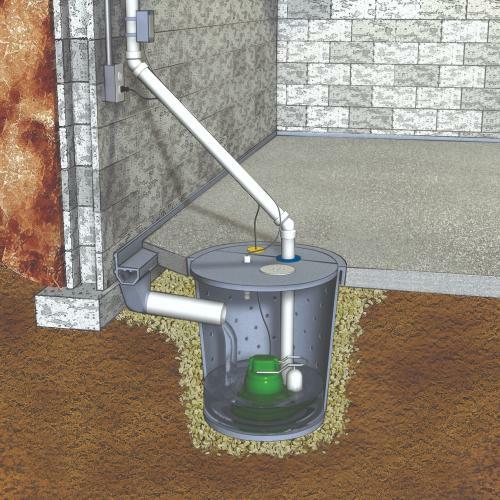 An airtight sump pump lid including rubber grommets around all pipes and wires, keeps odors and humidity from rising out of the sump pit, while also preventing items and debris from falling in from the crawl space floor. Having an airtight, secure lid on your liner is also excellent in preventing animals and children from attempting to play in the water! MidSouth Crawlspace Solutions also provides crawl space sealing and encapsulation! When you decide it's time to waterproof the crawl space and install a sump pump in your home, we are ready to help! We offer free, no-obligation inspections and written sump pump installation quotes to all homeowners in our Mississippi service area.